Jeannie J. Hong resides in Baltimore, Maryland, with her husband, Michael Shaw, and two sons, Brendan, age six, and Nathaniel, age four. Jeannie graduated in 1988 with a Bachelor of Arts degree from the University of Virginia and in 1992 earned her Doctorate of Jurisprudence degree from the Washington College of Law/American University. In 1993, she worked for one year as a staff attorney for the Maryland Department of Human Resources, Child Care Administration. For eight years, Jeannie worked as an Assistant State’s Attorney for the Baltimore City State’s Attorney’s Office. She prosecuted cases in the district, juvenile, misdemeanor, and felony divisions. She was the head of the Auto Theft Unit for approximately two years where her case load included homicide, carjacking, serious assault, robbery, complicated vehicle theft, and chop shop cases. Jeannie was also cross designated as an Assistant United States Attorney to help prosecute a death penalty, carjacking homicide case. 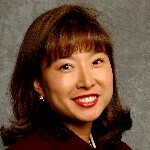 In 1999, Governor Parris N. Glendening appointed Jeannie to the Maryland Advisory Commission on Asian American Affairs. Additionally, she received Lieutenant Governor Kathleen Kennedy Townsend’s Women in Government Service Award of Excellence. In 2000, Jeannie was a Maryland Delegate to the Democratic National Convention in Los Angeles, California. On July 17, 2002, Governor Parris N. Glendening appointed Jeannie as a designate Judge to the Baltimore City District Court. She was sworn in on August 14, 2002. Jeannie's appointment is historical in a sense that she is the first Asian Pacific American Judge in the State of Maryland.